I recently sat down with the King of Rosé and founder of National Rosé Day, Bodvar Hafström. If you have been living under a rock, Rosé is the hottest wine out there during the summer season and today, June 10th is the day to pop a cork and celebrate it. What is it like to come from a SPIRTED family? Can you explain the differences in each of your Bodvár House of Rosés for our readers? We want to have a range of Rosé wines that satisfy the most distinguish rosé consumers. Bodvár N°1 – Pearly Rosé is our fresh and sparkling girl. She is young and fruity with French elegance. Bodvár N°7 – is our very likable Mademoiselle that comes with a bouquet of delicate red berries, citrus fruits, and Provence herbs. Bodvár N°5 is our very elegant and mature Madame. She is a little bit more hard to get, once you give her love she seduces you with a bouquet of elegant white flowers and exotic fruits. What have you noticed over the last few years with rosé and its popularity? We have seen an enormous interest in Rosé wines around the world. The rosé trend started in Europe 2008-2009 to be followed by USA where the trend started to pick up in 2012-2013 and now we see Asia starting to pick up on the trend as well. It’s wonderful to see that Rosé is taken to be more and more as a serious wine and also that the rosé seasons are getting more spread out through the year. What do you predict as a future trend with rosé wines? A trend is something that comes and goes but the Rosé wine is here to stay. There are many Rosé wines on the market today and I believe that we will see 4-5 Rosé brands that will stand out from the rest of the segment5 years from now. How should we be enjoying our rosé this summer? 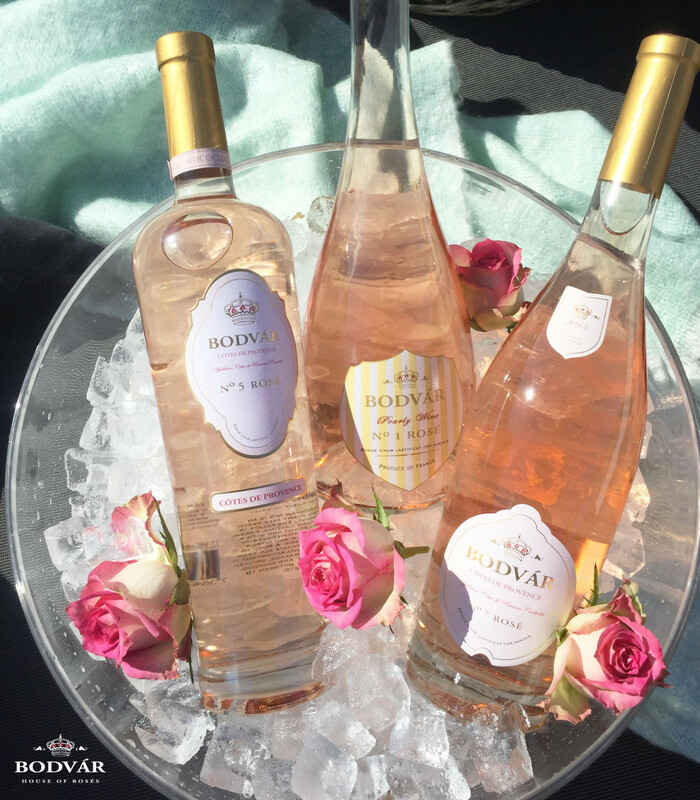 Bodvár Rosé should be enjoyed with friends and family in memorable lifestyle moments. For really hot summer days Frosé is a must try. Where can you buy your rose in the US? In selected hotels, restaurants and wine shops throughout the USA.